You will have to see with your own eyes to believe how nice this house is. 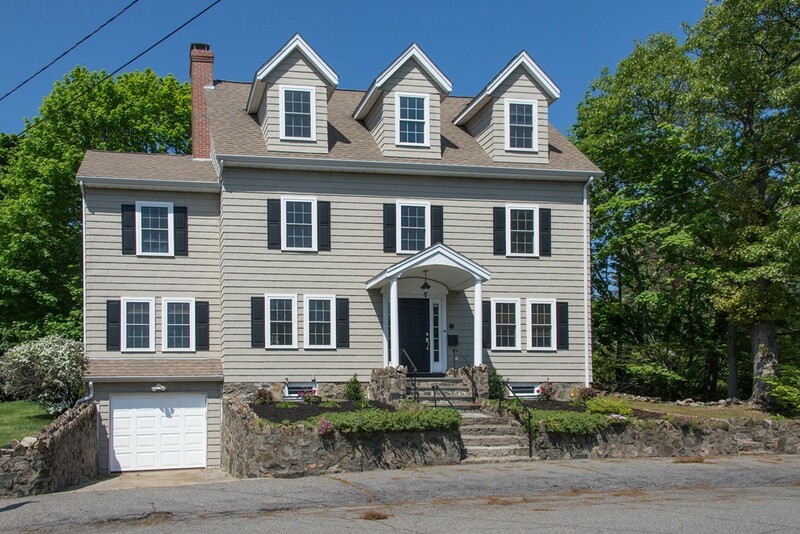 This attractive classic CENTER HALL COLONIAL had an extensive 2007 RENOVATION/EXPANSION which resulted in 9 ROOMS, 5 BEDROOMS, 3.5 BATHROOMS and over 2500 sq ft of living space. The interior has been freshly painted, the hardwood floors refinished and the home is sparkling clean - ready for you to move right in. New roof and exterior low maintenance siding 2007, Harvey thermal windows, 2009 Central Air (in all but LR,DR and Kitchen), First floor family room, front to back living room with fireplace and french doors to large yard with patio and plenty of room for fun/entertaining. One car garage and outside parking. On tree lined residential street convenient to high school, elementary school, train to Boston, Vinnin Square shopping and easy exit out of town for commuters.